The Consolidated B-24 Liberator was a four engine, American made, heavy bomber. Over 18,000 B-24's were built by Consolidated Aircraft between the years of 1940 and 1945 at a cost of almost 300,000 dollars each. The B-24 was used in just about every wartime theater and on D-day. The B-24 utilized four, Pratt and Whitney R-1830 turbosupercharged radial engines. The B-24's maximum speed was 290 mph, with a service ceiling of 28,000 feet and a range of around 2,100 miles. 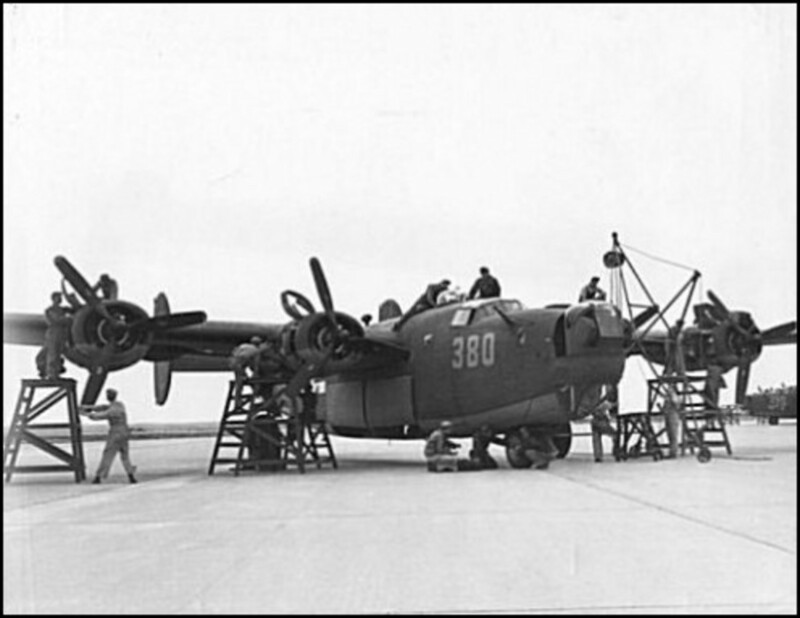 The B-24 was armed with ten - .50 M2 Browning machine guns. Depending on the range aB-24 could carry 8,000 lbs bombs for 400 miles or 2,700 lb bombs 1,200 miles. The Boeing B-17 Flying Fortress was a four engine, bomber in World War II. 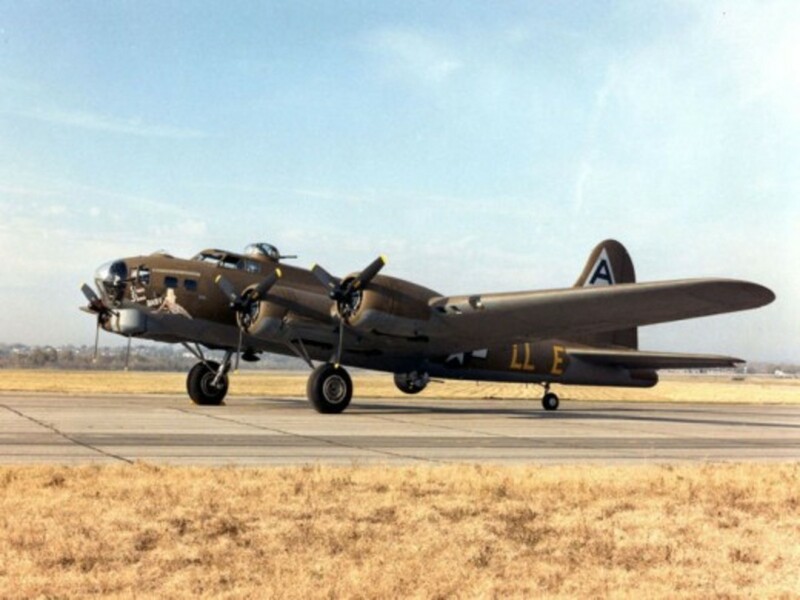 Built by Boeing, they were introduced in 1938, with a total of 12,731 Boeing B-17 Flying Fortress' built between 1936 until 1945, at a cost of 238,000 dollars each. The B-17 began its operations with the RAF in 1941. The B-17's first duties were to drop bombs on German industrial complexes, but later, to target enemy aircraft plants in preparation for the D-day invasion. The B-17 utilized four, Wright R-1820 turbosupercharged radial engines.The B-17 had a maximum speed of 287 mph and a service ceiling of 35,600 feet.The B-17 had a range of 2,000 miles. 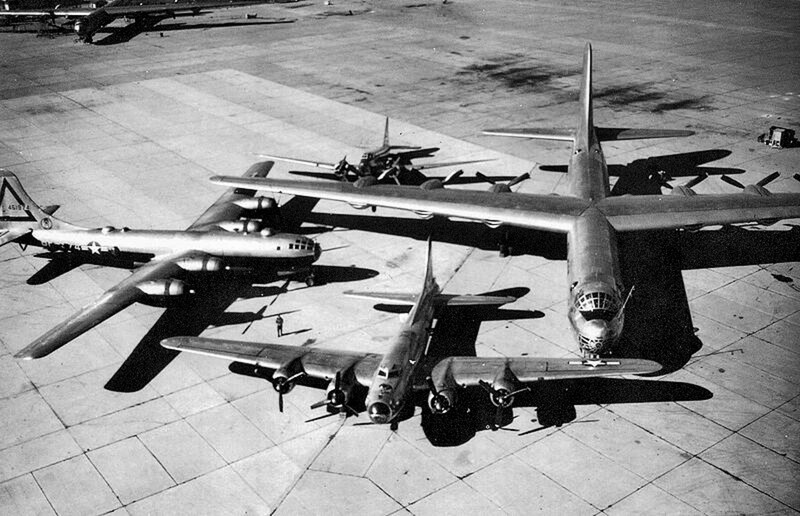 On a short range run of 400 miles a B-17 could carry 8,000 lbs of bombs. On longer ranges of 800 miles they could carry 4,500 lbs of bombs. The B-17 was armed with thirteen .50 caliber M2 browning machine guns placed in various turret positions. 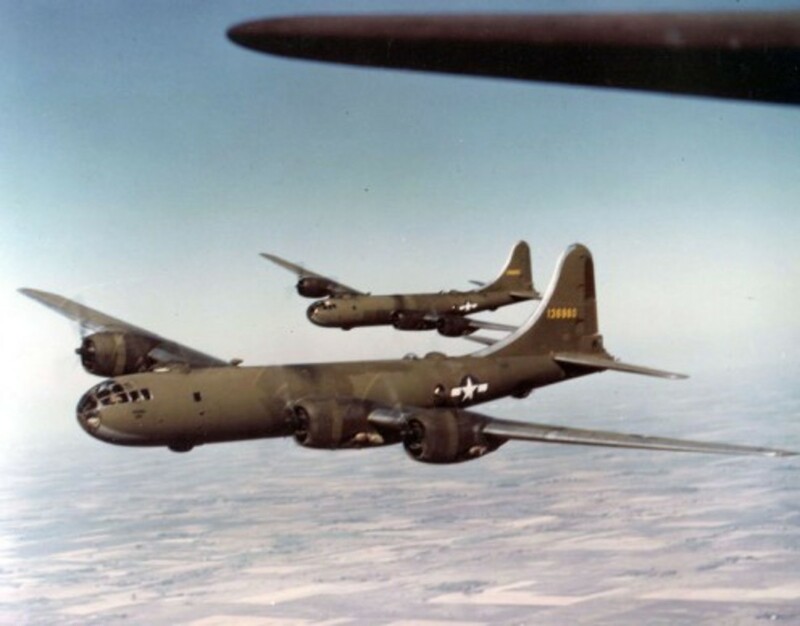 The Boeing B-29 Superfortress (named after the B-17 Flying Fortress) was built by The Boeing Company.The B-29 was a four engine, heavy bomber, that began operations in 1944. A total of 3,970 B-29's were produced between 1943 and 1946 at a cost of almost 640,000 dollars each. The B-29 was powered by four, Wright R-3350 turbosupercharged radial engines. The B-29 had a maximum speed of 357 mph and a combat range of around 3,250 miles. It had a service ceiling of 33,600 feet. The B-29 could carry 20,000 lbs of bombs and was armed with ten, remote controlled turret, .50 caliber Browning machine guns and two more in the tail. 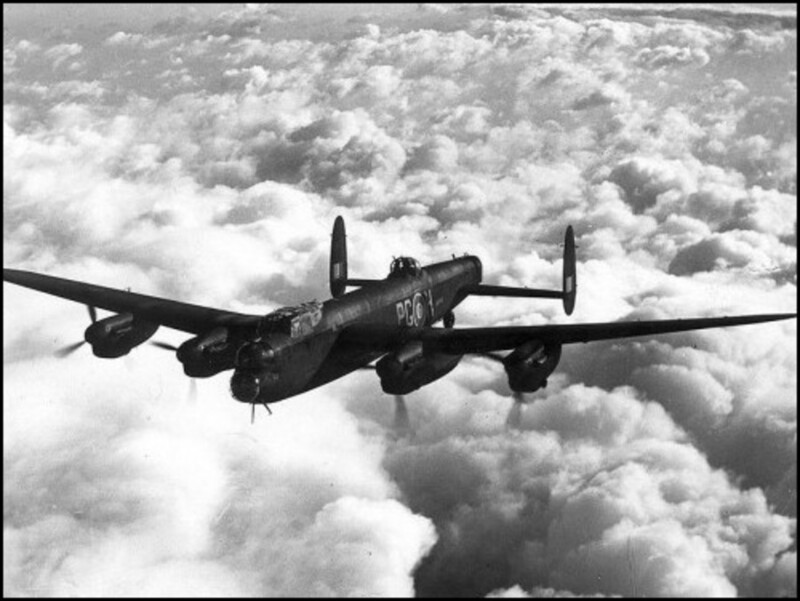 The British Avro Lancaster was a British, four engine, heavy bomber, built by Avro and introduced in 1942. 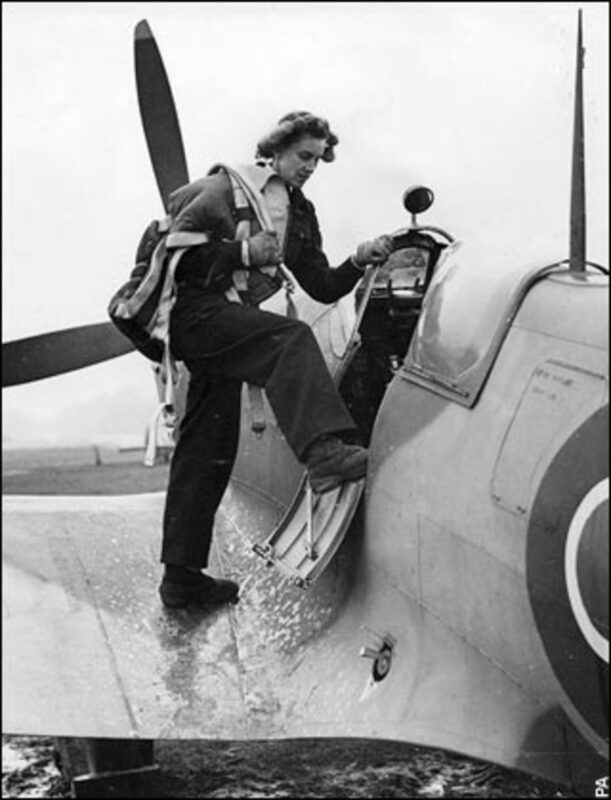 A total of 7,377 were eventually built for the RAF (Royal Air Force). 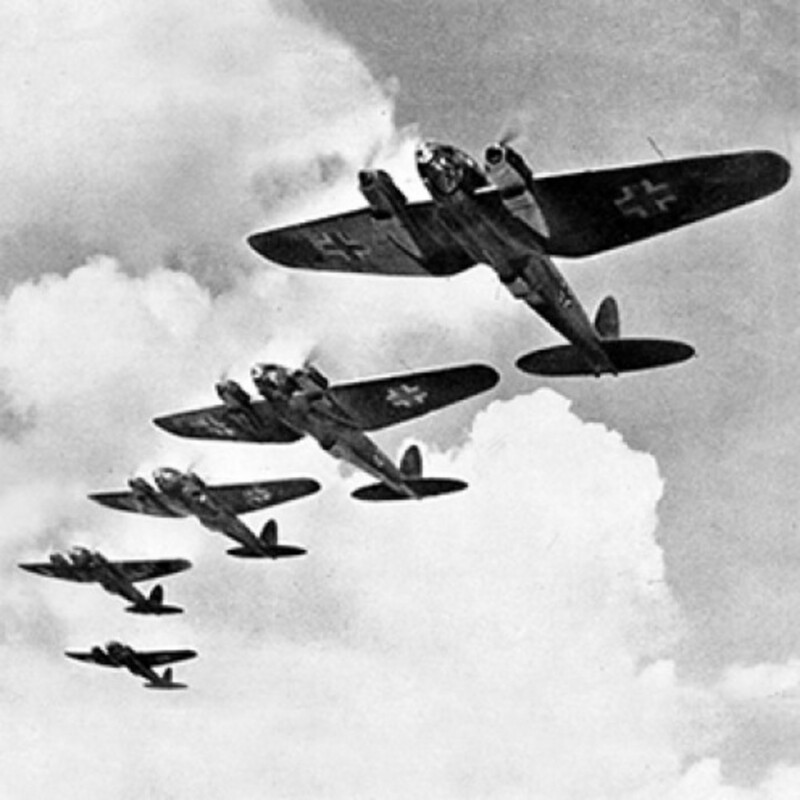 It became one of the most successful night bombers for England. They served predominantly in European theaters and on D-day. The Lancaster was powered by four, Merlin V12 Rolls Royce engines. Basically, the same type of engines used in the RAF's Spitfires. It had a maximum speed of 280 mph and a service ceiling of 23,500 feet. It had a top range of 3,000 miles, but with bomb loads of various weights, the range would diminish. The Lancaster carried the "earthquake bomb" or "the grand slam bomb" weighing 22,000 lbs.The Lancaster was also armed with eight-.303 Browning machine guns in various turret positions. 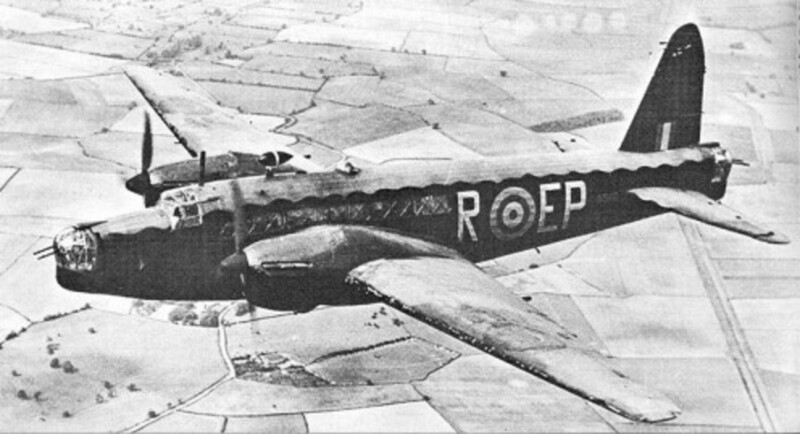 The British Vickers Wellington was built by Vickers- Armstrongs and was introduced in 1938. A total of 11,464 of the Wellington's were produced between the years of 1936 and 1945. 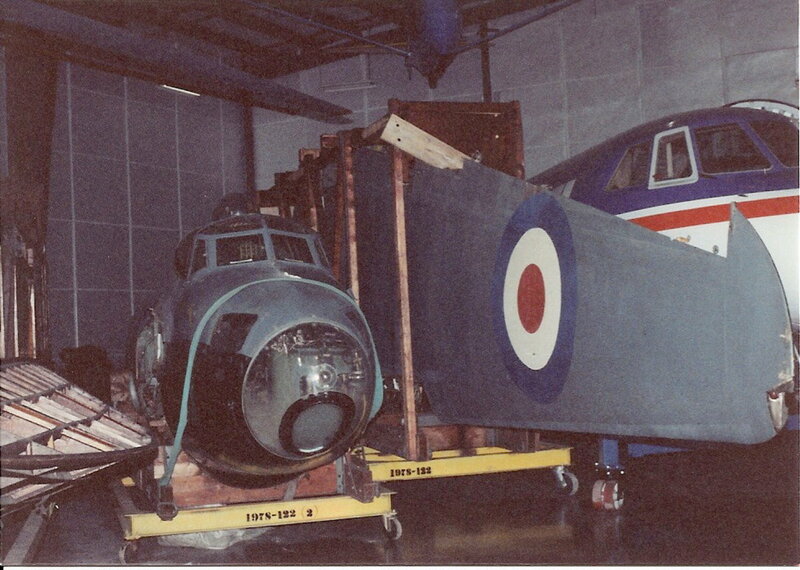 The Wellington was a two engine, medium bomber. It was used primarily as an anti-submarine aircraft.The Wellington had a range of 2,550 miles and service ceiling of 18,000 feet. It was powered by two Bristol Pegasus radial engines.The Wellington had a maximum speed of 235 mph. The Wellington could carry 4,500 lbs of bombs and was armed with six .303 Browning machine guns placed in various turret positions. The Japanese Mitsubishi G4M was a two engine, bomber employed by the Imperial Japanese Navy in World War II. A total of 2,435 were built by Mitsubishi and they were introduced in 1941. 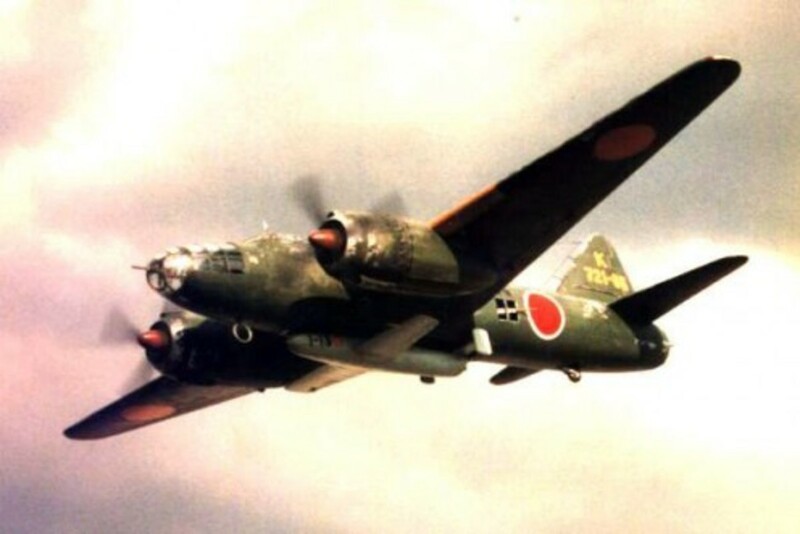 The G4M (codenamed Betty by allies) was powered by two 14 cylinder Mitsubishi air cooled Kasei engines. They had a maximum speed of 265 mph and a service ceiling of 27,890 feet. 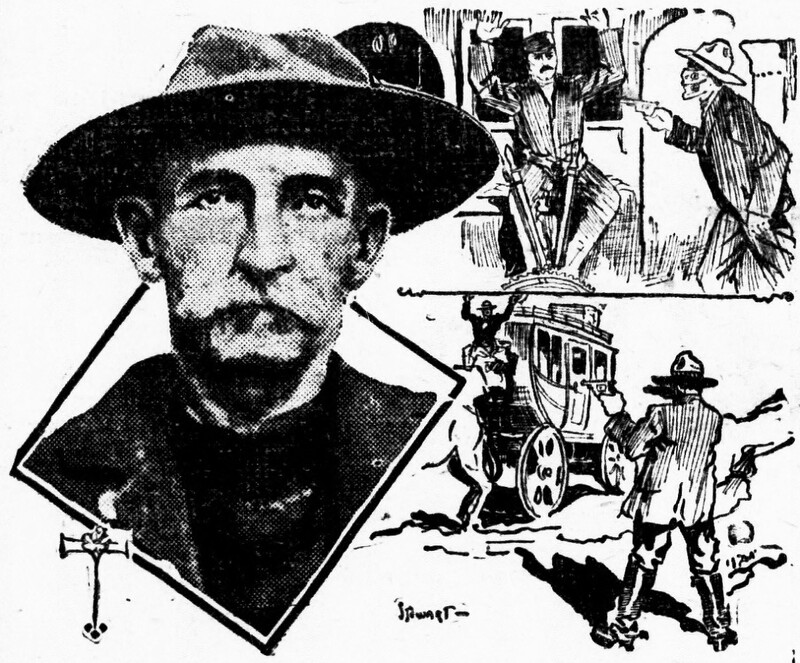 They had a range of around 2,500 miles. The G4M could carry 1,900 lbs of bombs or air dropped torpedoes. They were armed with one 20 autocannon and four 7.7 mm machine guns placed at various turrets. The Heinkel He-111 was a two engine, bomber, used by the German Luftwaffe in World War II. The He-111 began in the early 1930s and was supposed to be a civilian airliner. Later, the aircraft would was turned into a bomber and a transport plane.There were many variations of the He-111's made throughout the war. The He-111 had gull like wings, similar to the American's Corsair and had elliptical wings like the British Spitfire. 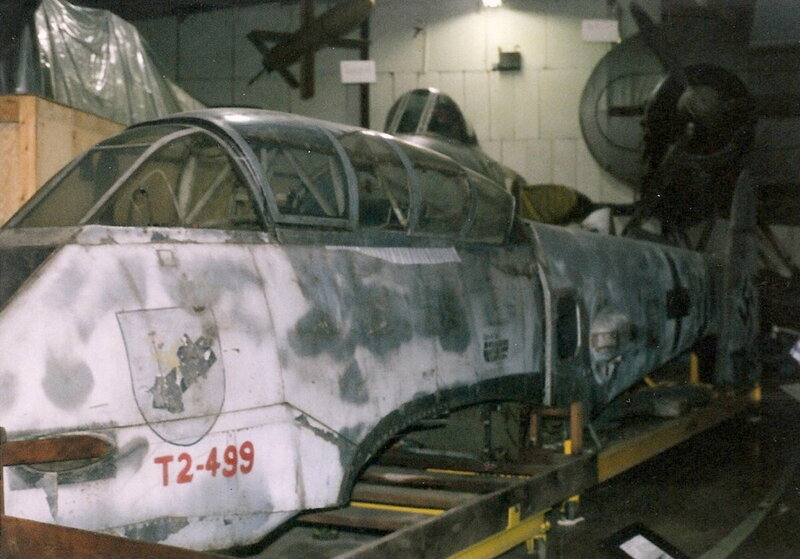 The He-111's nose was covered with glass windows similar to the American B-29's. The Heinkel He-111 served almost entirely in the European theater as a bomber, but later was used mostly for transport, as Germany focused more on the production of fighter aircraft. At first, the He-111 used BMW V12's but later used the Jumo V12's. The He-111 had a max speed of around 270 mph and a ceiling of over 21,000 feet. The He-111 had a combat range of 1,400 miles. They built approximately 6,500 of the Heinkel He-111's during the years between 1935 and 1944. The Heinkel He-111 was armed with seven 7.792 machine guns, one 20 mm autocannon, a 13 mm machine gun and it could carry around 4,000 to 5000 lbs worth of bombs. The de Havilland Mosquito was a two engine, fighter and fighter-bomber employed by the RAF. 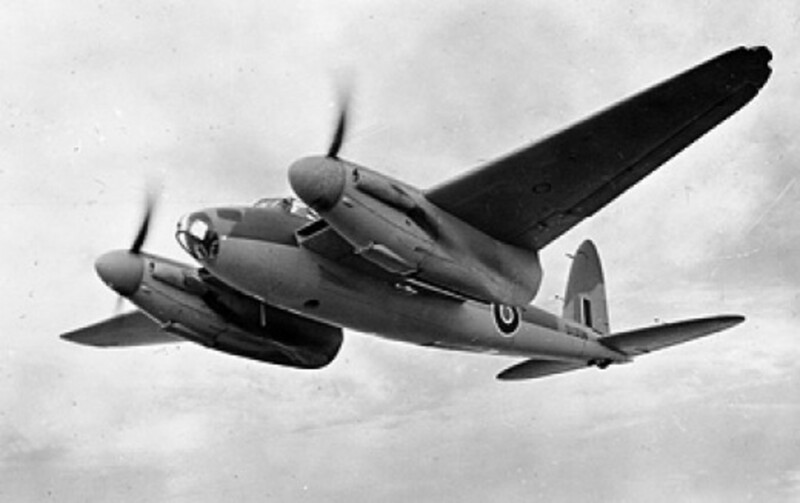 The Mosquito was made almost entirely of wood, giving it the nickname of "wooden wonder". A total of 7,781 Mosquito's were built between the years of 1940 until 1950. The Mosquito was powered by two Merlin V12 Rolls Royce engines, the same type of engines as the Spitfires and could achieve a maximum speed of 415 mph. The Mosquito had a service ceiling of 29,000-37,000 feet feet and a range of 900 -1500 miles. The Mosquito was armed with four Hispano autocannons and four .303 Browning machine guns or could carry 4,000 lbs bombs. The Martin B-26 Marauder was a two engine, medium bomber, built by the Glenn L. Martin Company. A total of 5,288 B-26's were eventually built between the years of 1941 and 1945. The B-26 began operations in the Pacific Theater in 1942, but were later used more extensively in Europe and Mediterranean.They cost a little over 100,000 dollars each. The B-26 was powered by two Pratt and Whitney R-2800 radial engines and had a maximum speed of 287 mph. The B-26 had a service ceiling of 21,000 feet and a combat range of 1,150 miles. The B-26 Marauder was armed with 12 .50 caliber Browning machine guns and could carry 4,000 lbs of bombs. The B-25 Mitchell was a two engine, medium bomber, built by North American Aviation. It was the same aircraft used by Jimmy Doolittle's Raid that bombed Japan in 1942 from the Carrier USS Hornet. The Mitchell B-25 is the only military aircraft named after a person-Gen. Billy Mitchell. The B-25 was powered by two Wright R-2600 radial engines and had a maximum speed of 275 mph. 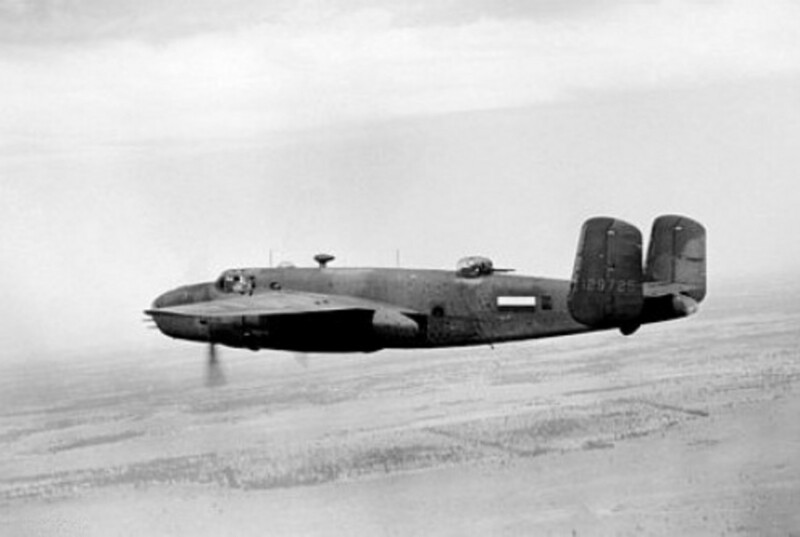 The B-25 had a combat range of 1,350 miles and a service ceiling of 25,000 feet. The B-25 could carry 3,200 to 6,000 lbs of bombs and was armed with 12- .50 Browning machine guns, with the B-25J having up to 18- .50 cal machine guns on the solid nose version. 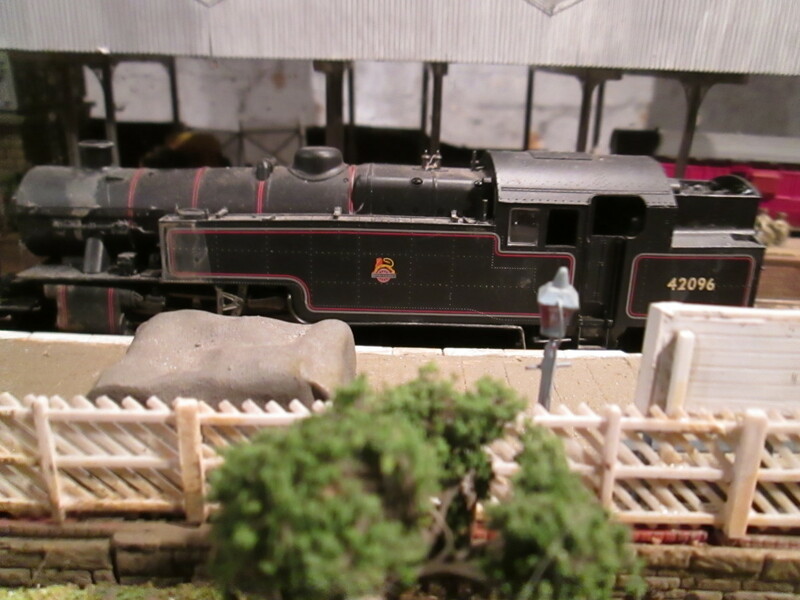 Rites of Passage for a Model Railway - 17: Benchmark - Tank Loco Models, Are They up to Spec? I've checked, it's available from amazon.com for rental or from $3.99-13.99 to buy. I never rent, but a number of my dvd purchases through Amazon have been used. Never had any complaints, so far. Enjoy. I read Catch 22 it was a great book. I havent seen the movie in years. They rarely play it on tv. Excellent movie. I cant hardly remember but online its saying B25s. Maybe I can rent it and watch it again. Thanks for reminding me of that. Hello once again Phoenix, I like the story about the Dolittle raid on Tokyo - was it late 1941/ early 1942? - where the stripped-down Mitchells took off from an aircraft carrier in the western Pacific after being spotted by a Japanese fishing boat (had to take off earlier than planned, and were at the edge of their operational range - some crews ditched in Japan, most got to China). Mitchells - or were they Liberators - featured in 'Catch 22' as well. Hilarious but dark comedy with Alan Arkin, Art Garfunkel and Orson Welles amongst others. They operated from North Africa, then Italy to raid over northern Italy and the Ploesti oilfield in Romania. 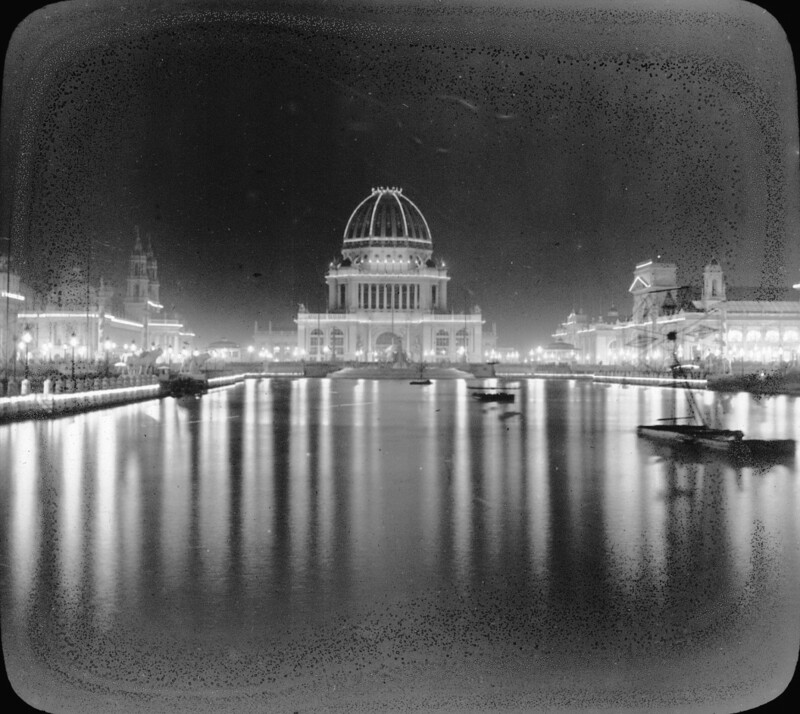 Good, crisp images again. Cheers. You ever do any research on specific planes -- B-24's?